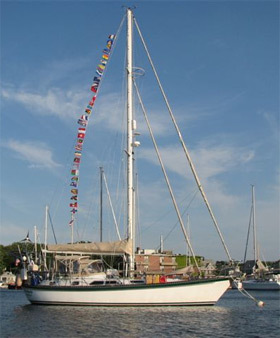 Eleven years ago today, friends Kevin and Claire threw us our lines as Windbird left Shipyard Quarters Marina in Boston headed for ports around the world. By October 18, 2006, we were in the Kingdom of Tonga. On October 18, 2007, we were in New Caledonia. By October 18, 2008, we were sailing from Belitung, Indonesia, to Singapore. In 2009, we were at the end of a visit to the US for the births of two grandsons, Ziggy and Jonah. On October 18 of that year, we were actually walking with Kevin and Claire on Myrtle Beach just before our return to Malaysia to continue our trek. October 18, 2010, found us sailing from Madagascar to South Africa. And by October 18, 2011, we were back home on Cape Cod preparing for living aboard in cold country. October 2012 found us readying to sail south for the winter. 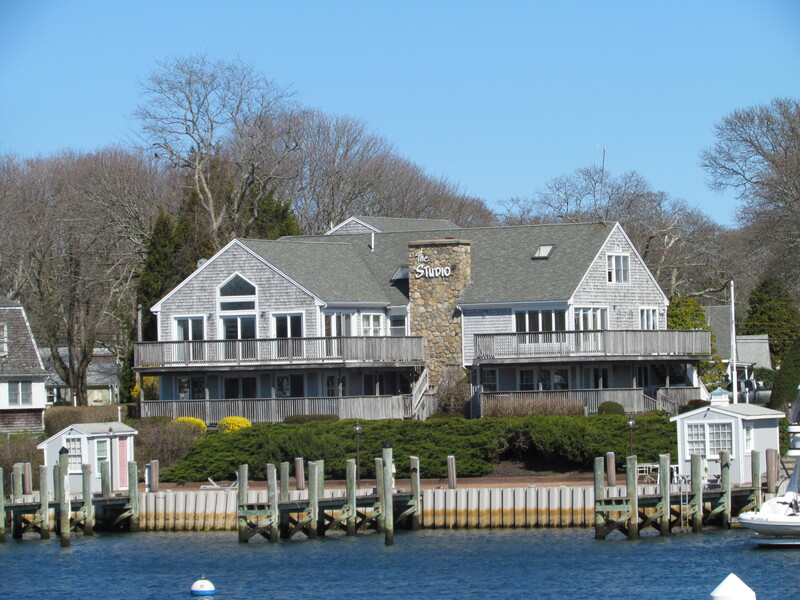 October 2013 we were tucking in for another New England winter at Fiddler’s Cove Marina in North Falmouth. On October 2014 we were anchored behind a little island in Morehead, North Carolina, headed to the Bahamas. And then on October 18, 2015, we were meeting with Jed’s cousin James Emmerling, who crewed with us on our final sail south. Today, October 18, 2016, I find myself without my Captain, but with such glorious memories of our life together. So I celebrate October 18 as a very special day in my life. And speaking of glorious, this gift of sunny and warm “Indian summer” weather this week has been delightful. Today was so warm I had to go back to wearing a tank top and shorts. I love it. But the winds turn to come from the northwest on Thursday resulting in significantly cooler weather for the weekend. I will be in New Hampshire this weekend visiting with friends Detta and Tom Porat. And I’m sure we will not allow the cooler weather to curb our activities. It was a frustrating day, even though it started out great. Lee, ME, and Steve arrived about 8:30 am and we headed to Heather’s house. They said their goodbyes to the Goldstones and then we were off for Logan Airport in Boston. It was wonderful having Mark’s family here with me this week and I will miss them so much. We said our farewells at the airport and then I headed home. That’s when the frustrations kicked in. I had planned a couple of shopping stops along the way. With a 20 degree drop in the temperature from yesterday to today, I was reminded that I don’t have regular shoes that fit me—only sandals. So I stopped at the South Shore Mall about 10 miles south of Boston to go to The Walking Company, the shoe store recommended by the podiatrist at Mass General. But that was a complete bust as they don’t carry shoes in wide sizes. That was the first frustration. Then I looked for a couple of other things and didn’t find those either. That was the second frustration. After three strikes, I left the mall and headed to Home Depot. I wanted to buy a big tool storage unit to put all of Mark’s tools in. But that was a bust as well as I had forgotten to measure the spot where I can put a tool storage unit and I decided eye-balling just wasn’t going to do it—third frustration. But there are two Home Depots within thirty minutes of here, so I can measure and go to one of those to get the unit. I did find the few things I was looking for at Costco (hurray) and then I was on the way home. I had planned to spend the afternoon figuring out which bills are paid automatically through bill pay, and which ones need monthly approval. Mark did all of our finances, so I knew I would need to spend some time learning this system. What I didn’t expect to find is that I no longer have a checking account and that our entire online bill pay system has been cancelled. Heather and I spent time at the bank last week making sure this would not happen, but somehow it has. I was on the phone for a very long time as the phone representative needed to talk to her manager to see if there is any way to retrieve the information that was in the bill pay system. But after a long wait, the answer was no. She opened a new bill pay account for me. I can go ahead and try to add the information back in, but I don’t have account numbers for some things because we no longer get paper bill statements. But even if I can figure out how to get the information into Bill Pay, it will do no good at all until I have a checking account. First thing Monday morning, I will be at the bank to find out where the account and the money in it has gone. How frustrating. But I took a deep breath and headed to Olivia and Terry’s for dinner. We were celebrating Bruce Woodin’s birthday belatedly and Jane’s sister Ann’s birthday a couple of days early. Olivia cooked a great Indian dinner that was appreciated by all. So the beginning and the end of the day was great. The middle part I could have done without. But tomorrow is a new day. And hopefully one sans frustrations. When we got back to Falmouth Harbor, we all headed to Heather and Jed’s for what the caterer told me would be a ‘light’ dinner. Everyone had the same reaction. If that was ‘light’ we would hate to see ‘heavy’. There was way more food than we could eat but it was really delicious. This log is probably making no sense. I am really tired. Justin, Jo, and kids leave at 6 am, so we are getting up at 5 o’clock in the morning! I sure am going to miss them, but I’d best get to bed so I can at least rally in the morning to say our farewells. Once they leave tomorrow and Mark’s family leaves on Saturday, I will have my first test at how I am going to react to life without my soulmate. He would want me to be strong, so I’ll give that my best effort. 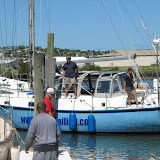 We are almost ready to leave Windbird and return home to visit for the next two months. The stainless is all polished, the last coat of varnish in on the cockpit cap rail, all of the souvenirs and memorabilia from the past year are packed and ready to go, our new bicycle wheels arrived from Dahon and we picked up our bikes in town this afternoon and rode them home, and the parts arrived today for our Monitor Wind Vane. At 9:45 tomorrow morning, we will leave here with Roger from the sailing vessel Wings and Strings. He is flying out of Auckland for Florida tomorrow, so he offered us a ride. So off we will go. It is almost impossible for us to believe that we have sailed from Boston to New Zealand during that past 420 days, but we have an odometer that tells us that we have come over 13,000 miles since October 18, 2005. We have used these logs to keep in touch with friends and family, and along the way we have met new people who have emailed us through the website. People we have never met have become friends. We were contacted a few times by people who were trying to get in touch with other cruisers and we were able to make those connections. Then there was . . .
Bill Schnurr, physician and former physical therapist. 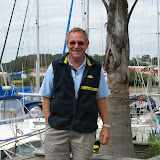 Bill was from Michigan but is now off on his own sailing adventure with his wife Julie in S/V Compania. When I broke my leg, Bill sent suggestions and was so very helpful. Kathleen Molinaro from Florida. Kathleen’s boyfriend, John Huber, was crewing on S/V Endangered Species. Kathleen found our website and kept tract of John’s progress by reading our logs. People like Judi Stuart from New Hampshire and Tillerman from New Jersey I believe. Judi wrote to us often and we are planning to have lunch with her in mid-January and to finally meet face to face. New Hampshire Public Radio friends-Doreen Kilby, Scott McPhearson, and Beth Szelog were the “regulars”. Concord School District friends-Sue Robichaud, Tom and Detta Porat, Barb Thomas and Lucille Watt from CHS, and the ever faithful Linda Stuart. Various public radio station managers-Wayne Roth, Dan Campbell, Dave Spizale, Richard Eisworth, and Tim Eby who succeeded Mark as Chair of the NPR Board. And the list goes on and on. My sister Patsy, my daughter Heather, and my sister-in-law, Sue Cook, were my almost daily email contacts. And none of this communication would have been possible without my son Justin’s constant vigilance over the website he created for us. There’s no way to mention all of the people here who contacted us through the website, but if you did, please know that we truly appreciated each and every email. It was great fun to share our fantastic journey with you. Over the Christmas holidays, my son Justin and I will add a new home page to this website organizing the past year’s logs by location. I will continue to post logs from time to time sharing our adventures back home and our land travels here in New Zealand. Mark also hopes to post a few Captain’s Ramblings while we are home that will summarize some of the “technical” highlights from the past year. We have learned SO much and we want to find a way to share that with future cruisers. In late March we will return to Whangarei and begin preparations for Year Two. At that point, I will begin writing daily logs once again. Until then, happy holidays to all and thank you so much for being a part of Windbird’s Voyage. We are getting closer to being ready to leave here. I have over half of the stainless polished and have the cockpit cap rail sanded and ready for it’s last coat of varnish. 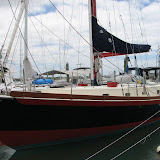 Mark still has a couple of sewing tasks to do and the rigger will be here in the morning to work on the staysail furler. The replacement of the lower stays will happen while we are gone. Our bags are mostly packed, but then there are a number of small tasks that must be done tomorrow. Our Dahon bicycles wheels came in today and the bike shop will have them ready for pick up tomorrow afternoon. That will require a trip into town in the late afternoon. We are hoping that our Monitor wind vane parts will arrive tomorrow evening as expected and that we will have those on Thursday morning before we leave here. We have to clean out the refrigerator and freezer and shut those down for the period that we will be gone, and we need to do laundry. By this time tomorrow night, we should be ready to go and I will be writing my last log from the first year of the voyage of Windbird. This evening we walked into town for the cruiser happy hour at Reva’s on the Town Dock. We saw Roger of Hanoah on the way and stopped to talk with him for a bit. He has found a job here and Judy is hoping that her nursing credentials will be arriving soon and that she will get a job as well. We got to Reva’s and immediately saw Pam of Starship. She invited us to sit with her and Scott and we did. Tom and Lillie who own International Yacht Services and Rigging are working on Pam and Scott’s boat and they came to join us. Tom and Lillie had a charter service in the South Pacific before coming to New Zealand and Tom was a wealth of information on places we should visit next year. Peter and Katie of Fire Moose from England also joined our table. They came into Riverside Drive Marina yesterday, but we had not met them until this evening. The cruising faces here are changing. New people are coming in while old friends have gone home. It will be exciting to return in February and see everyone again. We are still working on transportation for our land explorations in late February and March, but we should have that taken care of by the end of the day tomorrow. So as busy as it is, it looks like we will be all ready to leave here on Thursday morning. Roger of Wings and Strings is driving to Auckland and has offered us a ride. He is flying home to Florida and his flight leaves a couple of hours before ours. He wants to leave at 9 am, however, so we can have lunch with a friend of his in Auckland who will then drive us all to the airport. Roger will leave his car at his friend’s marina as you wouldn’t want to pay airport parking fees for a couple of months. So this is it. Two more days in New Zealand and then it is back to New England. We sure look forward to seeing friends and family, but we are not at all sure how we will adapt to the cold weather. But adapt we will, as we have no choice! We put in a full twelve hour day today and we still have miles to go. I spent my entire day polishing stainless (an endless job on a boat) and sanding and varnishing (another endless job). Mark spent his early morning with the sail maker putting our sails back up. Next he went up the mast to install the new lazy jacks, and then he got out the sewing machine and started on the many projects on his list. He made a cover for the new grill Mary Ellen and Lee brought to us in Tahiti (seems like just yesterday) and made a sun cover for the dinghy which will stay on deck while we are gone. 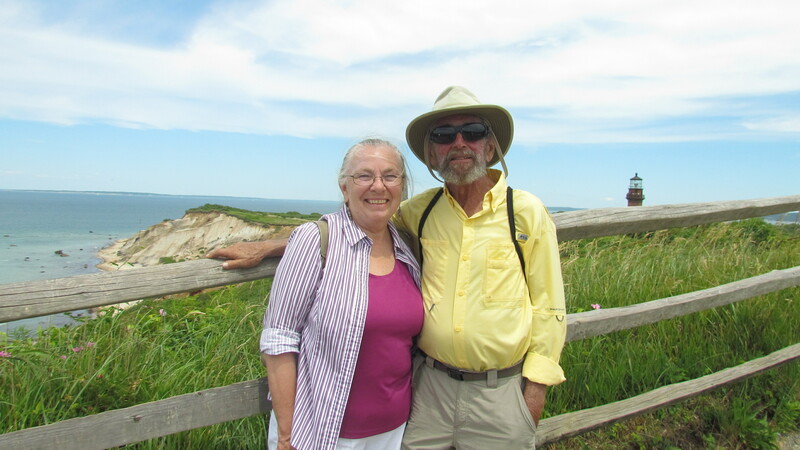 Mid-day we talked to Alan and Helaine Kanesgberg from Concord via Skype. We are trying to make reservations for whatever vehicle we will use for exploring New Zealand with them. It looks like we are going to rent a van and stay in cabins and motels instead of renting the campervan, so right now Mark is online on another computer trying to make those reservations. We are excited to get together with Alan and Helaine and start our trip planning while we are home. During the morning, Pam and Scott , the legally blind couple I wrote about in last night’s log, moved their boat Starship to the slip just one down from us. All available hands on the dock gathered to ensure they had a safe landing in the new slip. I took pictures as it was a real demonstration of how cruisers just pitch in to help one another. Tonight Starship is twinkling with little blue Christmas lights. There is not much else here to remind us that Christmas is only two weeks away, but Pam and Scott have brought the Christmas spirit to Riverside Drive Marina.